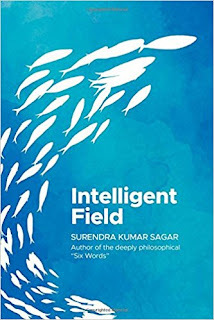 'Intelligent Field` is Surendra Kumar Sagar's second book on science and philosophy with a similar objective as his first book 'SIX WORDS' which aims to establish a model of philosophy that can lead towards convergence of religion with science to end conflicts and wars. In this new theoretical treatise, Surendra Kumar Sagar explores the intersections among science, religion, and philosophy. He introduces revolutionary new concepts that could change the way you look at all three disciplines. As Sagar writes in his introduction, the world can be a violent, frightening place. Current wars, aggressions, climate change, and more are pushing the Doomsday Clock closer to midnight. Already at three minutes to midnight, the human race is in trouble. Sagar uses Intelligent Field to urge you to question traditional religion and scientific theories. Now is the time to start looking at new solutions to old problems and new concepts to explain universal truths. Sagar introduces you to the concept of the "traveling cosmic mind," which fits perfectly within theories of relativity and quantum entanglement. Sagar's model of the universe rejects the multiverse theory and opens up new doorways of discovery. 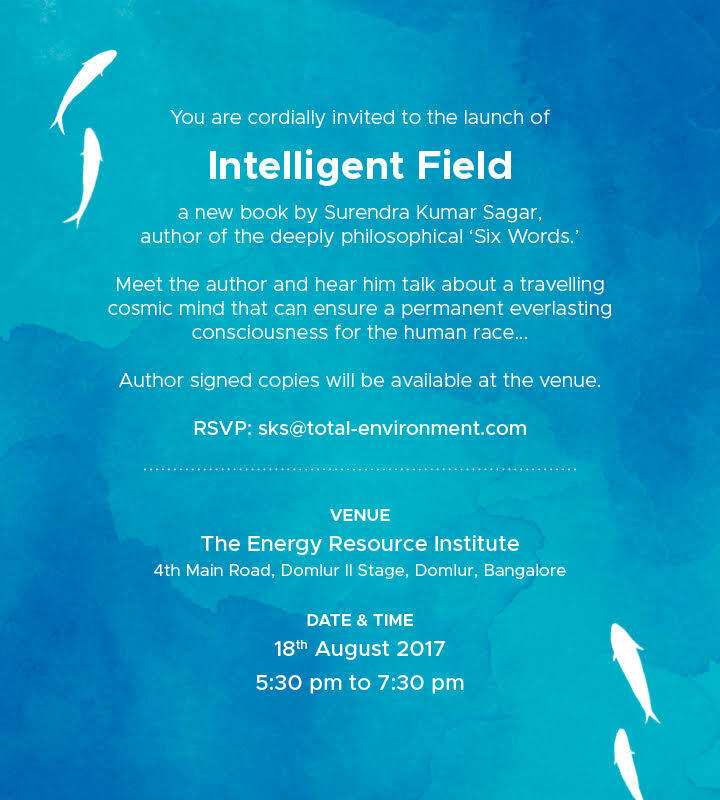 In addition to this revolutionary new concept, Sagar discusses the cosmology of our universe, the idea of an intelligent, omnipresent "infinite mind," and the possibilities of everlasting consciousness. By receiving new tools to examine the universe, you can start working on building a better world-before our time runs out. 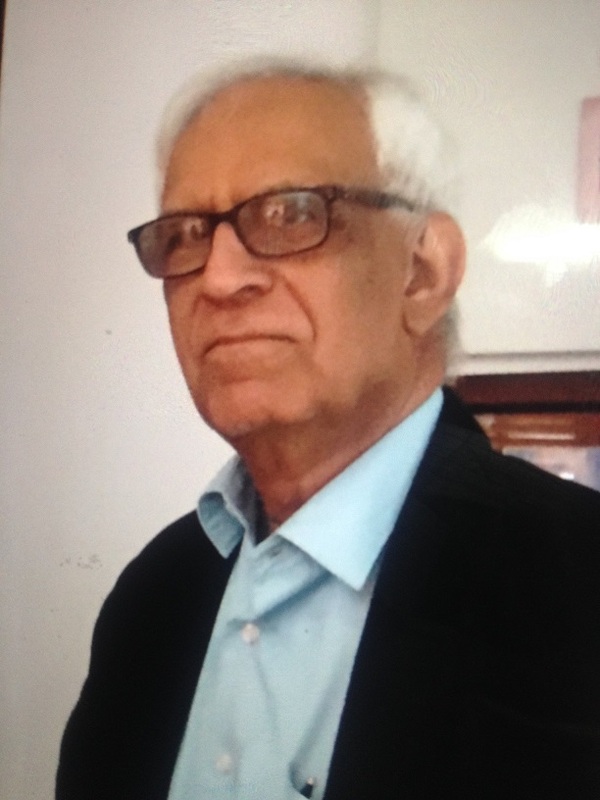 About the Author: Surendra Kumar Sagar has spoken extensively on science and philosophy to many organizations, including the National Institute of Advanced Studies, the Energy Resource Institute in Bangalore, India, and the Indian Institute of Technology in Roorkee, India. Sagar previously published Six Words, an autobiographical story that examines science, religion, and philosophy. Sagar has spent fifty-two years designing and constructing buildings. He is currently the technical director of design and engineering at a Bangalore-based firm. He studied mathematics, physics, and statistics at Bombay University and civil engineering at the Thapar Institute of Engineering and Technology. He is a member of the Institution of Engineers (India). Intelligent Field is available on Amazon in paperback and Kindle Edition. 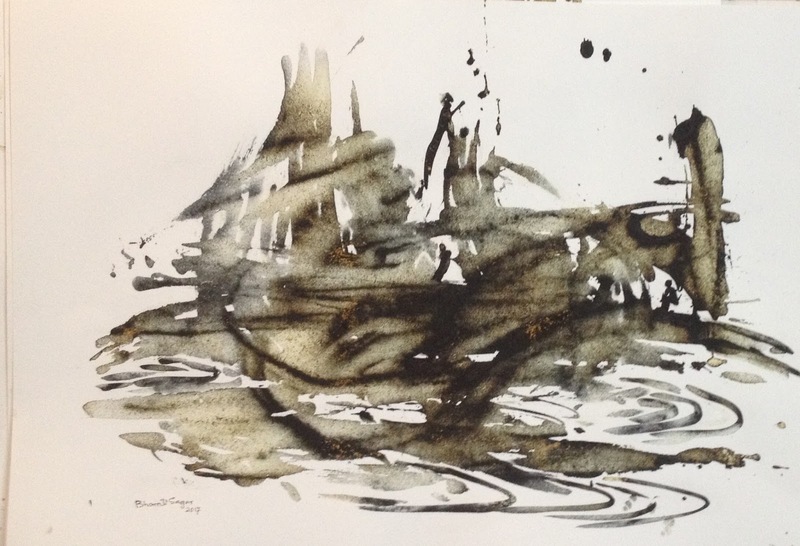 About the artist: Born in 1949 Bharati Sagar studied at The Fine Arts and Architecture College, Hyderabad. 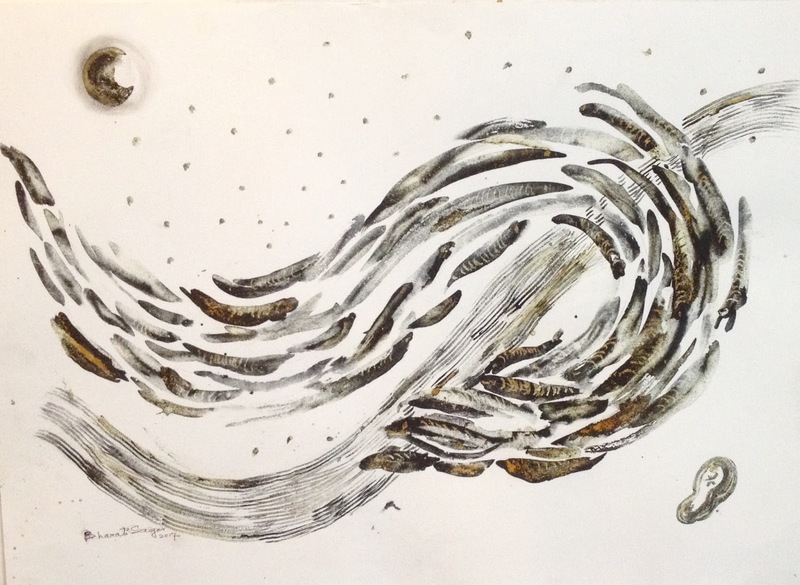 She also studied Commercial Art from B.I.E.T, Bombay. She works in a range of materials including oils, watercolour, charcoal, mixmedia and ceramics. Bharati has held shows in India and abroad since 1979 and participated in several group shows in Bangalore, Delhi, Mumbai Chandigarh and Kolkata, apart from Muscat, Italy and Chicago. She has won several awards, the Lalit Kala Parishad Award in 1987 and 1988 in Andhra Pradesh and the Chitra Kala Parishad State Award. 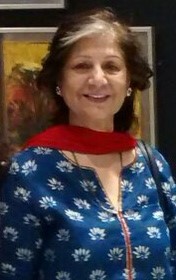 She has participated in several workshops since 1989 including a workshop and exhibition with German Painter, Kosehniider Ivan at Birla Academy of Art & Culture, Calcutta,Vitrium tiles, with Amal Ghosh-Prof. Fine Arts London and a work shop in stained glass by renowned British artist Patricks Reynatiens, organized by British Council. Her works are in the collection of several prestigious institutions and international buyers. She lives and works in Bangalore.